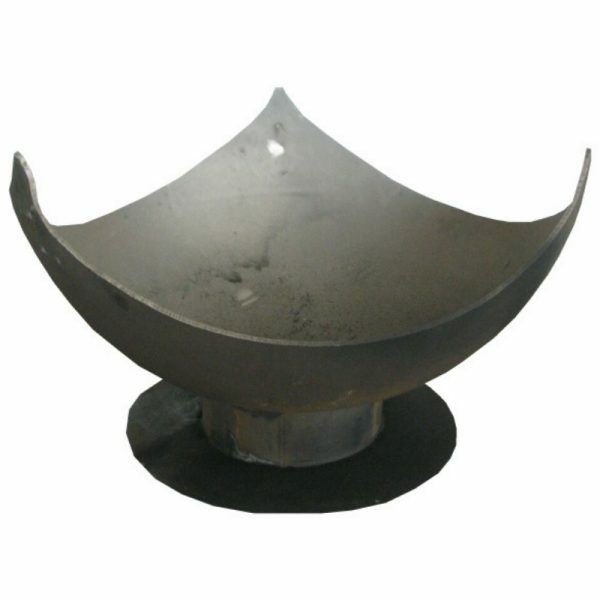 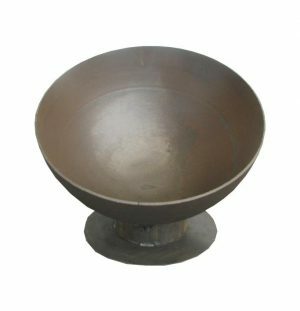 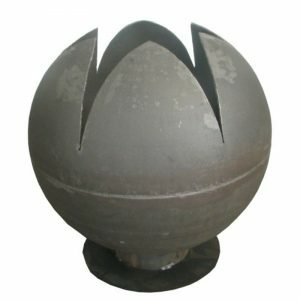 A Unique 900mm Garden Fire Bowl. 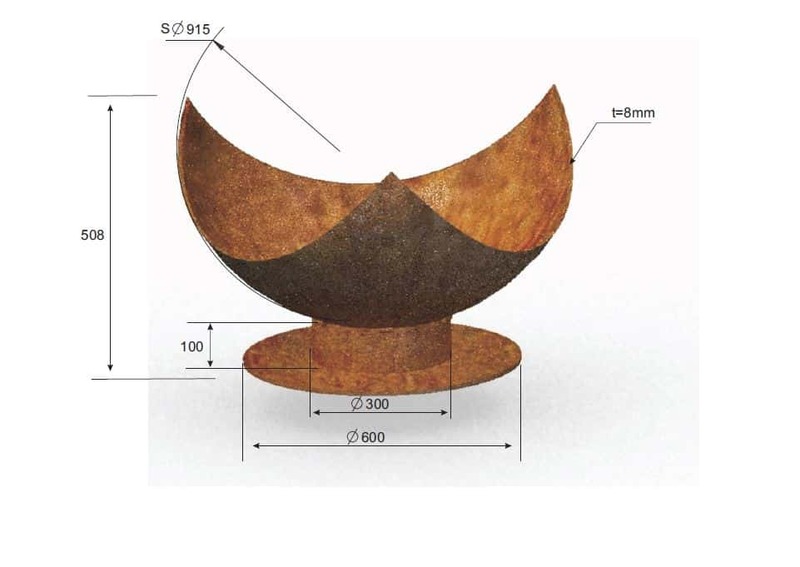 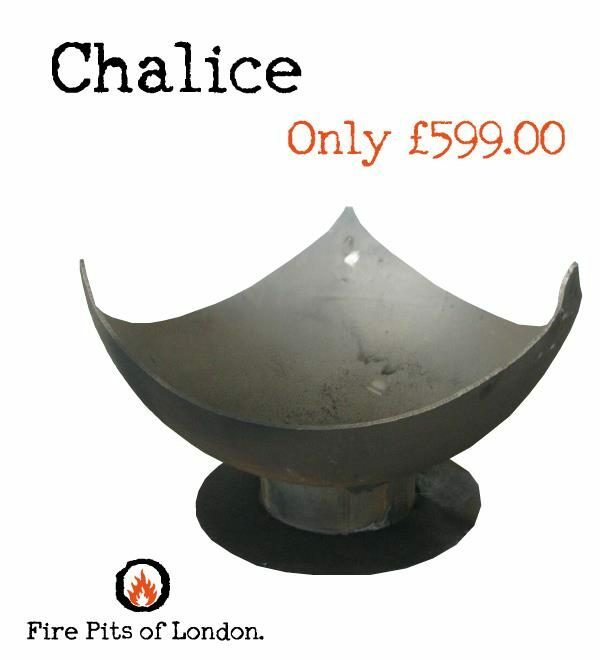 Chalice Fire Bowl Designed and Manufactured by Fire Pits Of London. 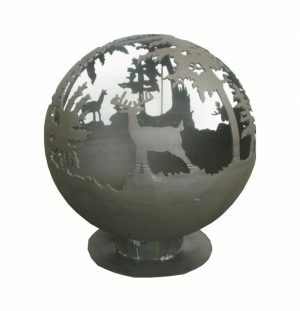 The unique base design provides a safe, free standing masterpiece that can be positioned on any non-combustible flat surface. 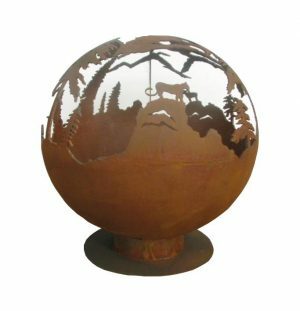 Furthermore, you have the ability to pave over the base plate to create the illusion of a floating sculpture just above the surface. 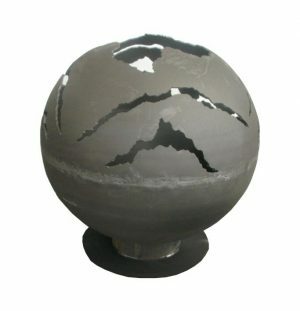 This dramatic fire sphere is a powerful addition to any garden and looks great with or without flames. 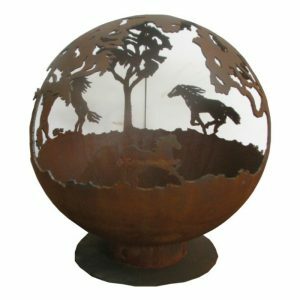 Fabulous for enjoying good company amidst the glow and warmth whilst lit, while equally a stunning sculpture to be admired throughout the day when the flames have subsided. 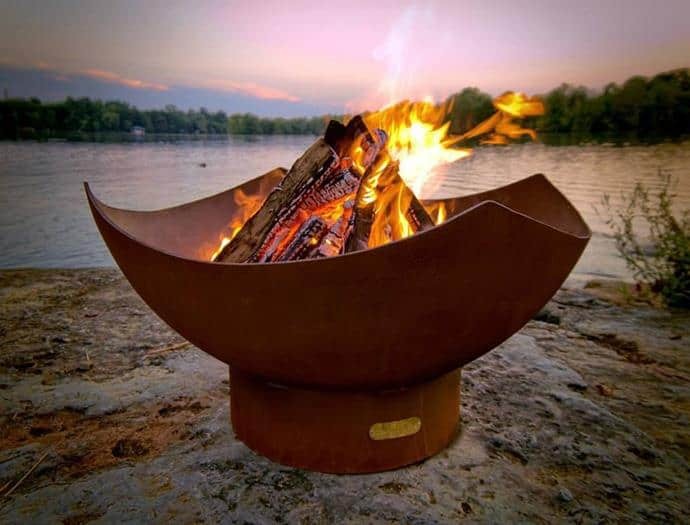 The Chalice Fire Pit is perfect for a family outdoor get together on a cold winters evening or a chilly English summers eve. 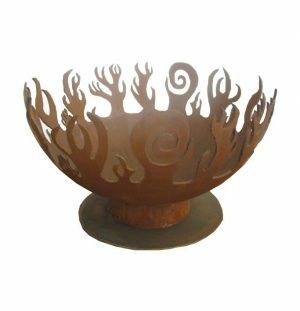 Chalice Fire Bowls are unique statement pieces which create a dramatic ambiance, providing an unusual topic of conversation for any get-together. 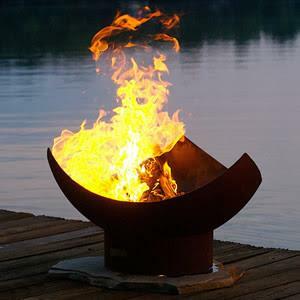 There is nothing quite like the hypnotic dance of real flames to mesmerize your guests and create a relaxing atmosphere.